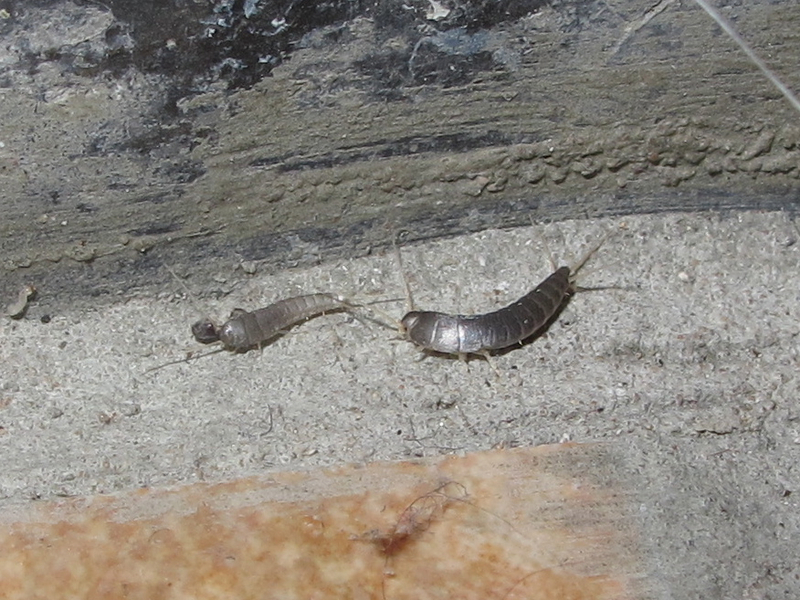 I found two silverfish, Lepisma saccharina, around midnight, as they scuttled about on the conservatory floor. 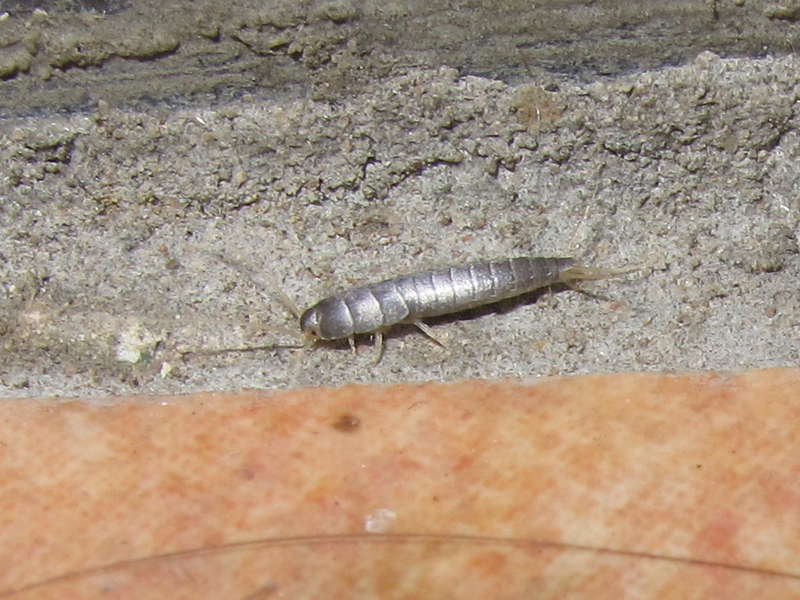 I very rarely come across silverfish at home. A few months back I managed to squish one by accident while taking some shots on the white bowl, as they have soft bodies. To make sure, this time I left them in situ for photos. Their metallic shininess stems from the tiny scales that cover their bodies. They appear to drag their abdomen and are quite 'bendy' as they move about. These features together with their general shape gave them their common name. Silverfish belong to a group of wingless insects, the Thysanura, which have long antennae and three prongs at the end of the abdomen and split from the ancestors of winged insects in the early Carboniferous over 250 million years ago, before they developed wings. Unlike other thysanurans that are blind, Lepisma saccharina has small eyes, despite their nocturnal activity patterns. Silverfish are often found inside houses, usually in damp areas and are omnivorous, feeding on starchy substances, including binding materials for books, paper, moults of other bugs and other detritus. Welcome to BugBlog CT, and thank you for your nice comments. My skin crawl when I see silverfish. My first encounter with a silverfish came from opening a book. It ran right out and away. The fastest things I've ever seen. I read in a recent post online that silverfish can cause great damage to books and photos. That is why it's important to always dust and go through things (even once in while) that you have sitting around. They will also cause havoc to your couch so watch out for that! Any idea how to get rid of this silverfish?